They say human beings are mortal creatures. All of us have to face death some or the other day. The average life span of every human is plus or minus 60 or 70 years but seems like this fact doesn’t hold true for a man in Indonesia. 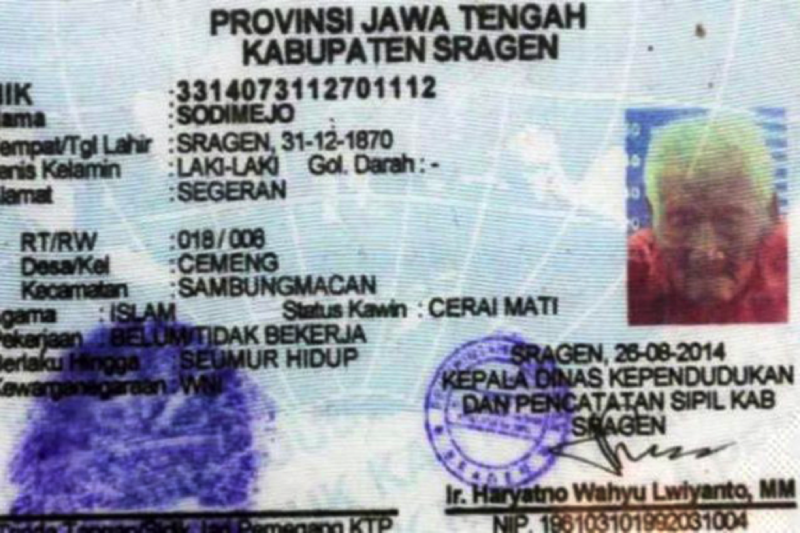 An Indonesian who is regarded as the world’s oldest man is believed to be alive since 145 years but is now waiting for death to come and grant him oblivion. 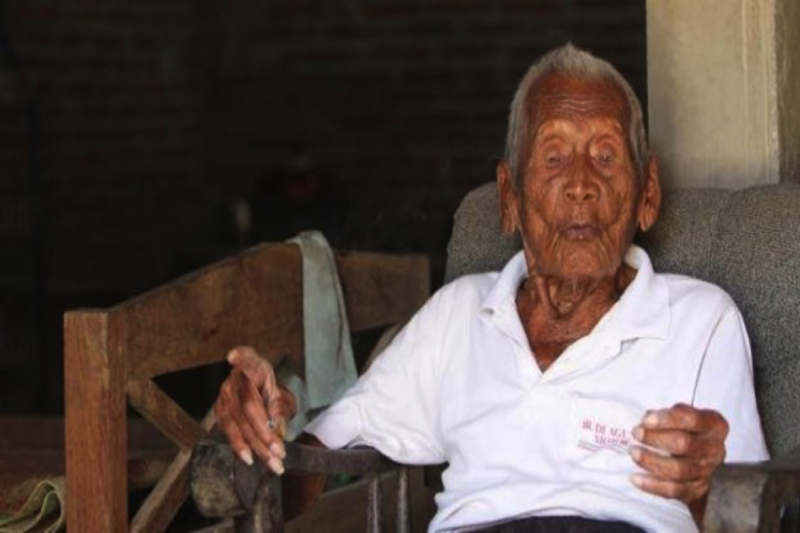 Mbah Gotho has emerged from obscurity with an evidentiary documentation recognized by Indonesian officials stating that he was born on December 31, 1870. 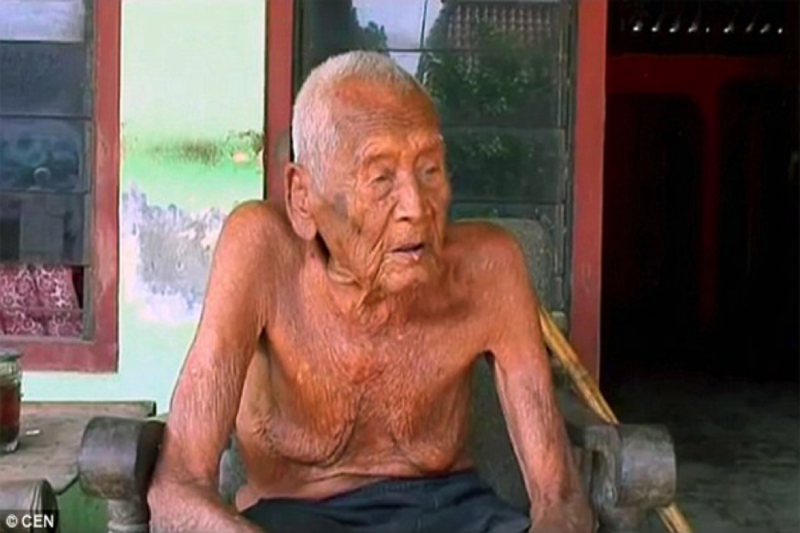 Astonishingly, he has outlived all 10 of his siblings as well as his four wives, the last of whose demise took place in 1988. However, the title of the verified oldest person in the world ever, belongs to Jeanne Calment who lived for 122 years but Mbah Gotho proved to be significantly older than her too. He says that his grandchildren are all independent now and therefore what he wants now is to die. His grandson said that his grandfather has been preparing for his death ever since he was 122, but it never seems to come. In fact, his family has already prepared a gravesite for him, which is near his children’s graves but the fact that whether he will ever be listed as the world’s oldest man still is a question as the paperwork has not yet been independently verified.